GitHub - 12bitvn/social-image-gen: 📷 The tool that generates your social image based on your markdown content. 📷 The tool that generates your social image based on your markdown content. Want to be notified of new releases in 12bitvn/social-image-gen? We got inspired by the social image from dev.to so we decided to create the own one for our blog 12bit.vn. However, you can use it to generate images for your site as well. --width optional 800 The image width. --height optional 400 The image height. --name optional "thumbnail" The name of image. --title optional "untitled" The title in the image. 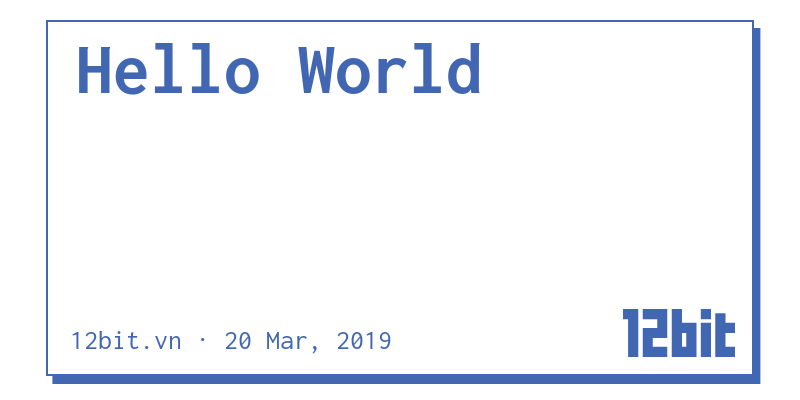 Eg: --title="Hello World"
--date optional The date in the image. Eg: --date="20 Mar 2019"
--author optional "unauthored" The author in the image. Eg: --author="12bit.vn"
--template optional templates/default.html The mockup template is used to generate image. You can check ./templates/default.html to see how to create a template. Generate a 800x400px social image without markdown file. 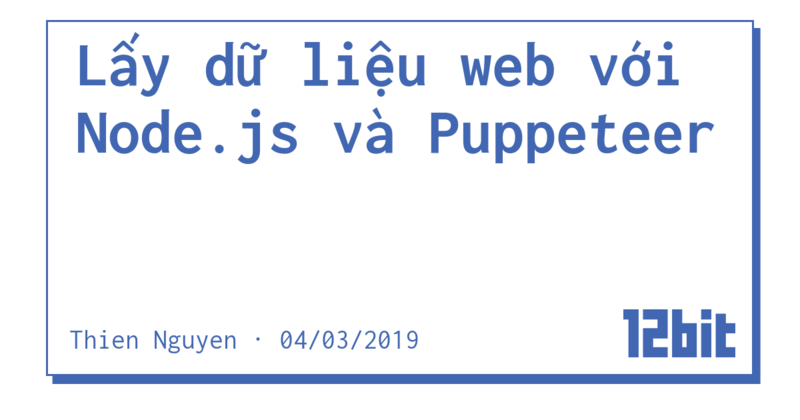 social-image-gen --output=./public/hello-world/ --title="Hello World" --date="20 Mar, 2019" --author="12bit.vn"